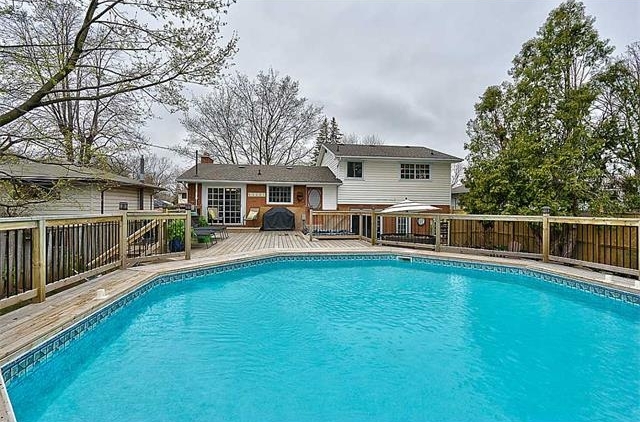 3 Bedroom split level detached home in the popular south Burlington area of Elizabeth Gardens..Open plan living room and dining room with hardwood floors, walkout to deck and in ground swimming pool. Kitchen has hardwood floor with stainless steel appliances. Main floor office or 4 bedroom if preferred. Walk to lake, amenties and schools.